A review of the stages we have grown through and the uniqueness of progressed implications. 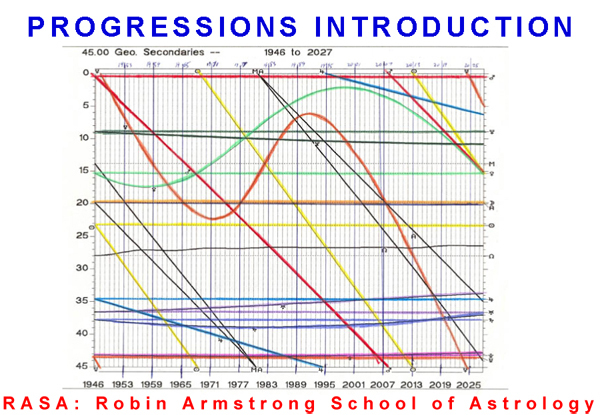 Types and applications of progressions. Connecting with progression. Calculations begin. While the calculations are taught in this and the next class, there are also printed examples showing how to get the same information from computers.